Chronic Pain is a difficult burden for patients to bear and especially when dealing with doctor appointments. Because many chronic pain patients have seen multiple doctors, taken many different prescriptions and even have had multiple surgeries, the idea of seeing yet another doctor may be almost unbearable. Even more so when you are required to produce copies of medical records before you can been seen. Why does the process have to be so involved and difficult? As a Specialist who treats chronic pain, I understand how patients can get frustrated. Why can’t you just get pain relief without all of the tedious requirements? This article is written to help you understand the process, why it exists, what to expect and how to prepare for your first office visit with me. Your medical records need to be sent to OSC several days to a week ahead of your first visit with an OSC PM Physician. If you are new to our practice and have seen an orthopedic doctor or pain management doctor in the past, we need medical documentation for your last five visits, at a minimum. If you are being referred to OSC PM by an OSC orthopaedic physician, we will need to get any medical records you may have from a non-OSC Pain Management physician. If your medical records do not arrive by the time of your appointment, you will not be able to be seen that day. Your medical records are very important; but the experience that you share with us is equally important. While the thought of re-telling your pain story may make you want to stay in bed with the covers pulled over your head, please know that it is a vital tool I will use to find the best treatment for you and your pain. 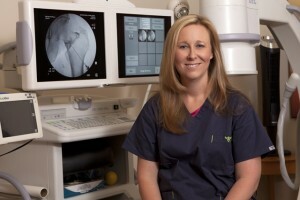 Please come to your appointment with an open mind and trust that I will help you in any way I can to reduce your pain. Your willingness and openness are also important in the area of treatments I may recommend. In addition to medication, I often prescribe Physical Therapy, in-office procedures or injections, exercise, aqua-therapy, yoga, cognitive behavioral therapy, biofeedback and many other modalities and therapies. Just because Physical Therapy didn’t help you in the past doesn’t mean it won’t help you in future. I often suggest many different treatments, in concert, to find the best pain relief for my patients, but their efficacy may largely depend on you and your willingness to try. You should also understand that you will not be prescribed opioid medications on your first visit with an OSC Pain Management Physician. Sometimes, patients get very angry about this policy, because they are in pain and feel that they are somehow being punished or are suspected of doing something wrong. Please understand that this office policy pertains to all patients, not just you, and that it exists for your safety. Your office consultation with an OSC Pain Management Physician works best when there is a partnership between the doctor and patient. Understanding the responsibilities each of us has in the patient/doctor relationship is very important and we both must do our part to get the best possible outcome for you when seeking pain relief.